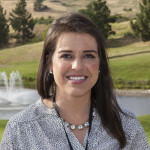 Nathalie Sterne has been a great addition to the Trinity Center team, and although we are so sad to see her go, we are very excited for her new adventure! Nathalie will continue serving the homeless population as she transitions to her position as Homeless Services Specialist under the Health Care for the Homeless program for Contra Costa County. As her position will be mobile, we hope she is able to stop by for a visit with our members at Trinity Center! Thank you for your service and we wish you only the best with your new venture. We will miss you! Pam Arend McGrath will be joining Trinity Center to assist in areas of general support as well as be supervisor of our evening program at the armory. Pam is a mid-westerner who left the family farm to study and travel abroad and all over the U.S. before landing in the Bay Area. She has appreciated experiencing many flavors of life. She is proudly passionate about advocating for vulnerable people and helping create pathways for equity and dignity. Pam has done this through her work in corporate and non-profit finance and management. Whether working on processes, policy or boots on the ground advocacy, she is bolstered by her firm belief that every person is worthy of support and capable of taking their own next step toward success. If you have come by Trinity Center recently, you will have noticed we have a new face at our front desk to greet you! Jeffrey Remis comes to us with experience consulting for Fortune 50 corporations and government agencies, and has taught art, yoga, spiritual development, and computer classes for local organizations. Jeff has mostly completed his credentials in adult education, and headed curriculum development for 18 months at a Walnut Creek church. He enjoys jazz, wilderness journeys and helping people become happier and healthier. Welcome, Jeff! $50,000 for the Winter Shelter program. All net proceeds will go to the Trinity Center Winter Shelter program to help provide shelter and food for up to 50 people protecting them for over 4 cold and wet months. 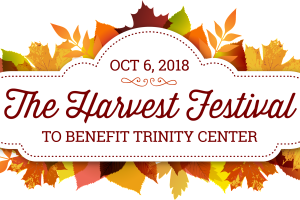 Please visit the Harvest Festival ticket page for more information regarding tickets ($50/pp) and donations!